The ability to manipulate the texture of cold process soap allows for a wide variety of techniques. For example, thick textured soap mimics the look of cupcake frosting in the Sparkling Champagne Soap Cupcakes. On the flip side, fluid soap batter is used to create complex swirls in the Clover & Aloe Spin Swirl Soap. Swirling cold process soap takes a little practice, but is well worth it. There is something about swirling soap that is satisfying and relaxing. And the final product is beautiful! From spin swirls and drop swirls to hanger swirls and in-the-pot swirls, there are many different swirling techniques. While each technique involves a slightly different process, there are steps you can take to ensure your soap is successful. 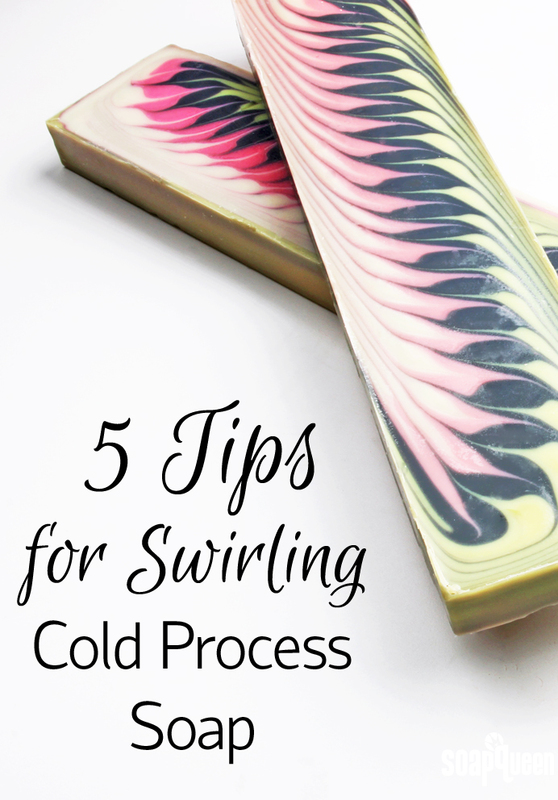 Below are five tips for creating gorgeous swirls in cold process soap. 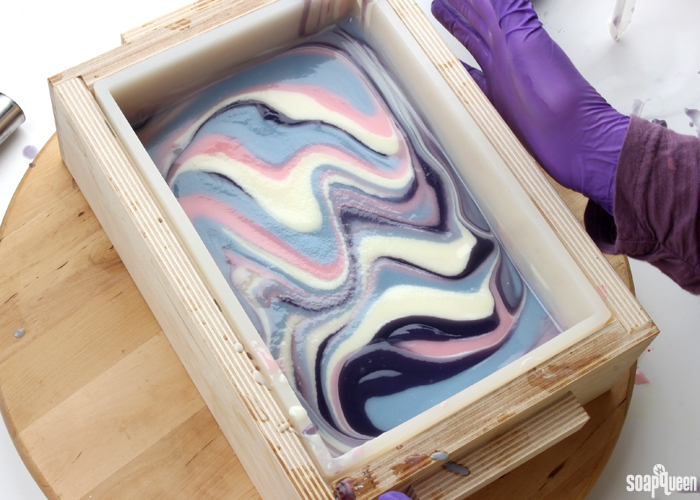 When making a swirled soap, timing is key. The longer soap batter sits, the thicker it will become. Once you begin the saponifcation process, be ready to move quickly. Have your colorants mixed, fragrance weighed and all your necessary tools nearby. Thorough prepping helps the process run smoothly. There is nothing worse than running around looking for another whisk when your soap is starting to thicken up! See my tips for setting up your soaping area in this post. Cold process swirls are made with thin or medium trace soap batter. Trace is the point in the soapmaking process when oils and lye water have emulsified and will not separate. Once the soap has reached thin trace, it will continue to thicken. To learn more about trace, check out the All About the Trace blog post. The key to soap batter that stays thin for long enough to create swirls is using plenty of “slow-moving” oils. Slow-moving oils refer to oils that do not accelerate trace. In general, slow-moving oils are liquid at room temperature. Oils that are firm at room temperature will accelerate trace in soap. Examples of oils and butters that accelerate trace are palm oil, coconut oil, all butters, palm kernel flakes, beeswax, and castor oil. 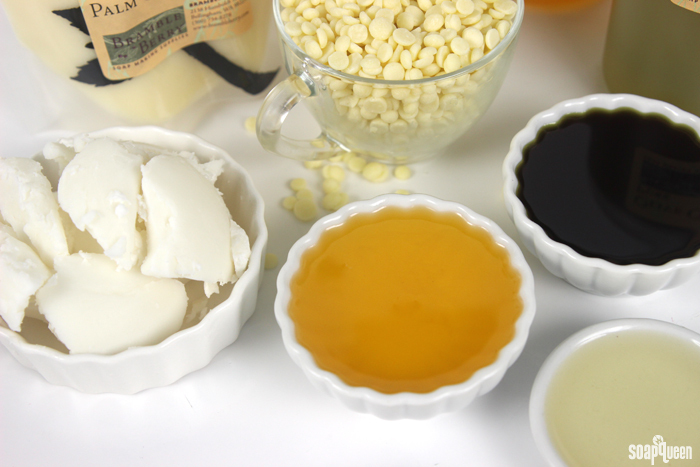 Click here to learn moreabout common soapmaking oils and butters. 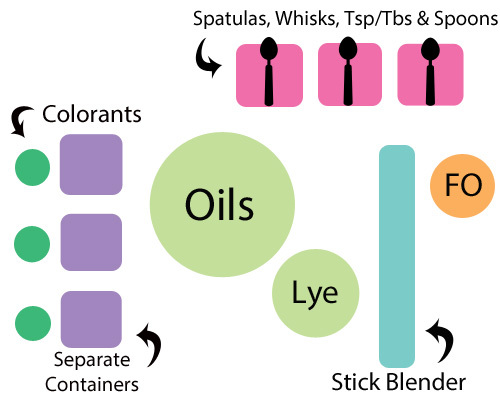 Choosing the right soapmaking oils is the first step to a successful swirled design. Some of the most popular slow moving oils are pure olive oil, canola oil, sweet almond oil, sunflower oil, avocado oil, apricot kernel oil, rice bran oil and chia oil. Keep in mind some slow-moving oils are slower than others. For example, I would categorize rice bran oil as slow moving, but it does accelerate trace more than pure olive oil. From my experience the slowest-moving oils are canola oil, pure olive oil and sweet almond oil. To create a recipe that gives you lots of time to swirl, I recommend formulating your recipe with about 60% slow moving oils. To learn more about formulating your own cold process recipes, click here. Looking for some recipes that are suitable for swirls? Check out the tutorials below! The “average” soaping temperature is around 110-130° F. Every soaper has their temperature preference, which may vary from recipe to recipe. When soaping at higher temperatures (130° F or above), thick trace will be reached more quickly than when soaping with cooler temperatures (100° or below). 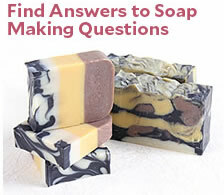 Many soapers prefer to soap at room temperature when making a complex swirled soap. 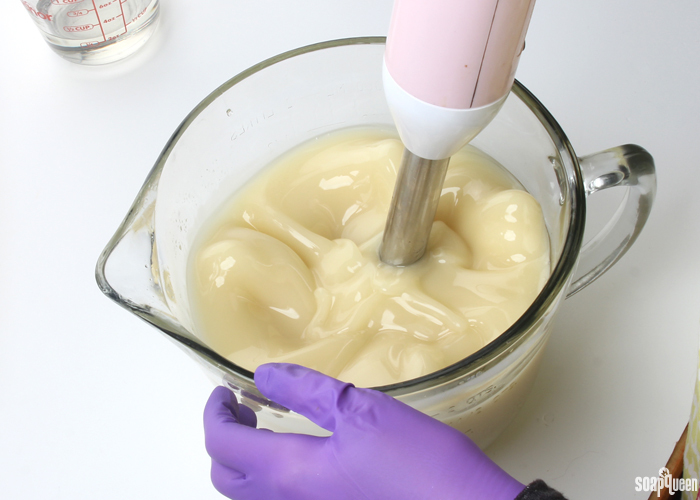 Even adjusting your temperatures by just 10 degrees can make a huge difference in the texture of your soap batter. Stick blenders are the unsung hero of cold process soapmaking. They emulsify oils and lye solution within minutes, or even seconds. But, stick blenders emulsify oils and lye so quickly that it can be easy to over-emulsify to a trace unsuited for swirls. Once you over-blend your soap, there is no way to get that lovely thin to medium trace back. Stick blending your batter for too long can lead to a thick trace which inhibits the ability to swirl. The key to maintaining a thin trace until you’re ready to swirl is to take turns pulsing the stick blender and using it to stir the batter. Pulse the stick blender in short bursts. And remember, you can always stick blend more later! 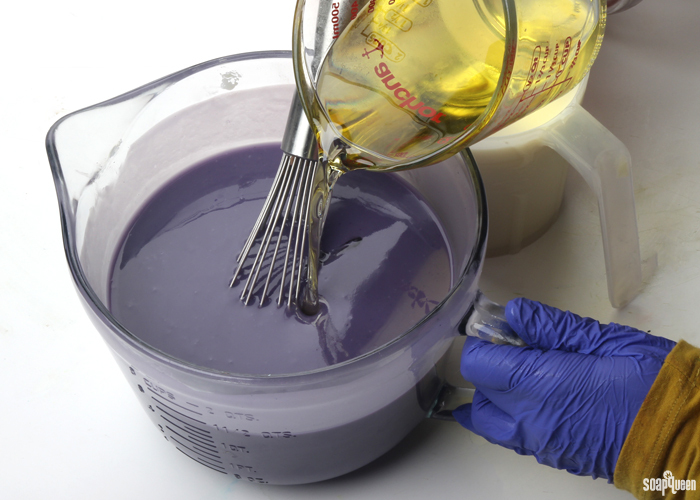 Once you reach a thin trace, I prefer to use a whisk to stir in my colorants. I also whisk in my fragrance oil last. This gives me the most time to work with my batter before it starts to thicken. Fragrance oils can do interesting things to cold process soap batter. After all, fragrance oils can be made up of hundreds of essential oils and aroma chemicals (though most are made of a handful). Adding them in the middle of the sopp making process can produce varying results. From separation to ricing, you can see some of the negative effects of misbehaving fragrance oil in the Soap Behaving Badly post. Luckily, Bramble Berry tests all fragrance oils thoroughly to make sure they behave well in cold process soap. 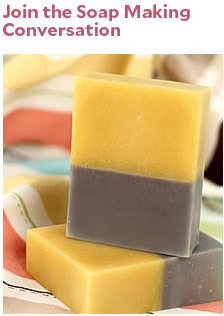 If creating a swirled soap design, use a fragrance oil that does not accelerate trace. In the Electric Lemonade Column Pour Tutorial, I used Electric Lemonade Cocktail Fragrance Oil, which behaves well in cold process soap. Acceleration is a mild form of “misbehaving” fragrance oil. A fragrance that causes acceleration will thicken the soap batter once mixed in. If the design requires a thick trace, an accelerating fragrance oil is great. But if you’re aiming for a swirled soap, avoid fragrance oils that accelerate trace. Not sure how the fragrance oil behaves? Bramble Berry includes fragrance oil testing notes on each fragrance oil product page. 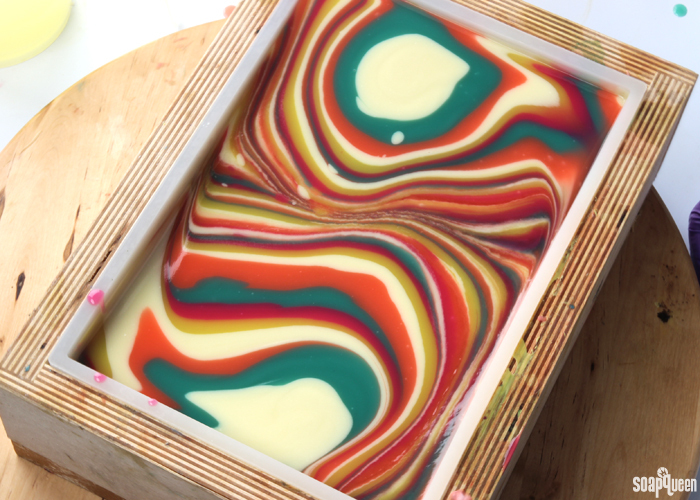 Do you have any tips or tricks for creating swirled cold process soap? Do you have a favorite swirl technique? I’d love to hear them below; there is always room for improvement.